Home of the Annual Long Riders Relic Run! Welcome to the Jack Pine Lodge, Resort & Campground of Manistique Michigan! 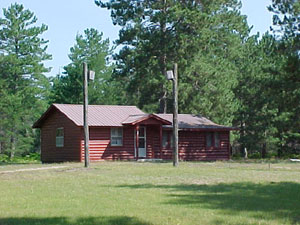 The Jack Pine Lodge, Resort & Campground of Manistique Michigan offers great Upper Michigan Rental Cabins for you your friends and family. They are available for rental by day or week (please view rates below). Our Rental Cabins comfortably sleep from 3-9 people. 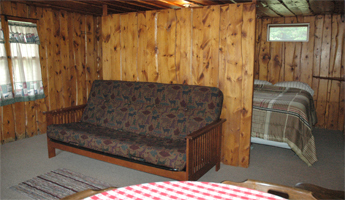 When you stay here, you are surrounding yourself with the historic Hiawatha National Forest! We invite you to experience Michigan's Upper Peninsula anytime of year. 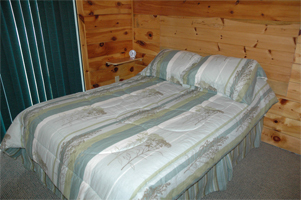 We offer a wide range of cabin types so call us today and we can find the perfect accommodations to suit your needs. 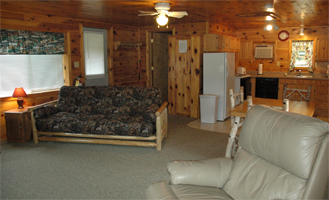 We have newly renovated deluxe Rental Cabins for your Upper Peninsula Vacation. These cabins are gorgeous and echo the beauty and nature of the Hiawatha National Forests that surround the Jack Pine Lodge property. 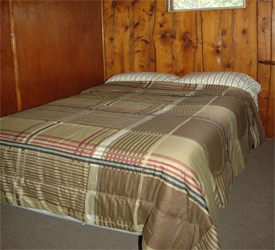 We also offer standard rental cabins. Please inquire on the availability of these deluxe accommodations by calling us for details. Amenities are listed below that detail each cabin's unique characteristics. 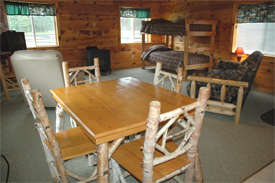 We have a wide variety of Rental Cabins types. Here are some views of our standard cabin rentals. Please call for any details. All cabins have their own characteristics. Our cabin amenities chart below depicts these items for each of our 6 rental cabins. We look forward to your visit. We have many great events that happen right here on our property. 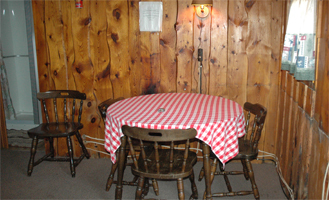 Jack Pine Lodging has a great atmosphere that is fun and exciting. We invite you to come and experience Michigan's Upper Peninsla and the Land of Hiawatha!